Applying Positive Psychology in the Helping Professions: A practical framework. In this webinar, Dr. Margarita Tarragona, a leader in positive psychotherapy and coaching, will share a conceptual framework that she developed to help practitioners organise the various ways in which they can apply positive psychology in their work. She will illustrate her approach by sharing several examples of practitioners using positive psychology in clinical and coaching situations. Margarita is especially interested in dialogical practices and narrative approaches, and in how using a positive psychology lens to generate conversations may help clients enrich their life stories and identities. Members are encouraged to register for the webinar and come prepared with questions for Dr. Tarragona! 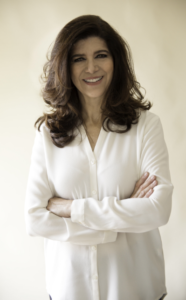 Dr. Margarita Tarragona is a clinical psychologist and coach, and leading expert in the application of positive psychology science in therapy and coaching. She received her PhD from the University of Chicago and obtained her clinical training at The Family Institute of Northwestern University and the Ackerman Institute for the Family. Margarita has created and taught some of the leading undergraduate and postgraduate positive psychology programs in Spanish in the world. She is the president of the Mexican Positive Psychology Society, is on the board of advisors of IPPA (International Positive Psychology Association), and is an Honorary Fellow of the Centre for Positive Psychology of the University of Melbourne. She also serves on the Executive Clinical Council of IPPA’s Positive Clinical Psychology Division, where she co-developed and facilitated a Virtual Positive Peer Consultation Group Pilot. Margarita co-founded Grupo Campos Elíseos, a training center for therapists in Mexico City, she is adjunct faculty of the Wholebeing Institute, and teaches in the CIPPLA program (Certificate in Positive Psychology for Latin America). Margarita incorporates scientific findings on wellbeing from positive psychology with dialogical and narrative practices in therapy and coaching. She publishes in professional journals and popular media and is the author of Positive Identities: Positive Psychology and Narrative Practices(2012). Host: Caroline Adams Miller, MAPP will host this webinar. 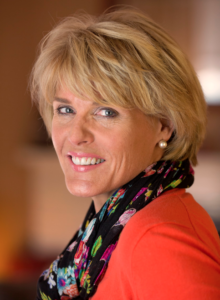 Caroline is one of the world’s leading experts on the science behind successful goal-setting and the use of ‘good grit’ to achieve hard things. For more than 30 years, she’s been sharing her research-backed strategies to help people cultivate more grit and dig deeper to clarify and achieve their toughest goals. A Harvard graduate with a Masters in Applied Positive Psychology from the University of Pennsylvania, she has authored six books including Creating Your Best Life and Getting Grit and teaches at Wharton Business School’s Executive Education program. Her work has been featured in The New York Times, The Washington Post, BBC, NPR, and CNN. 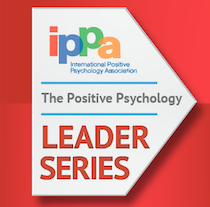 The Positive Psychology Leader Series is a member-only program that features virtual presentations, interviews and liveaudience Q&A with leading researchers and practitioners in the field of positive psychology. IPPA members register to attend these free presentations and enjoy unlimited access to more than 45 past webinar recordings in an online archive.